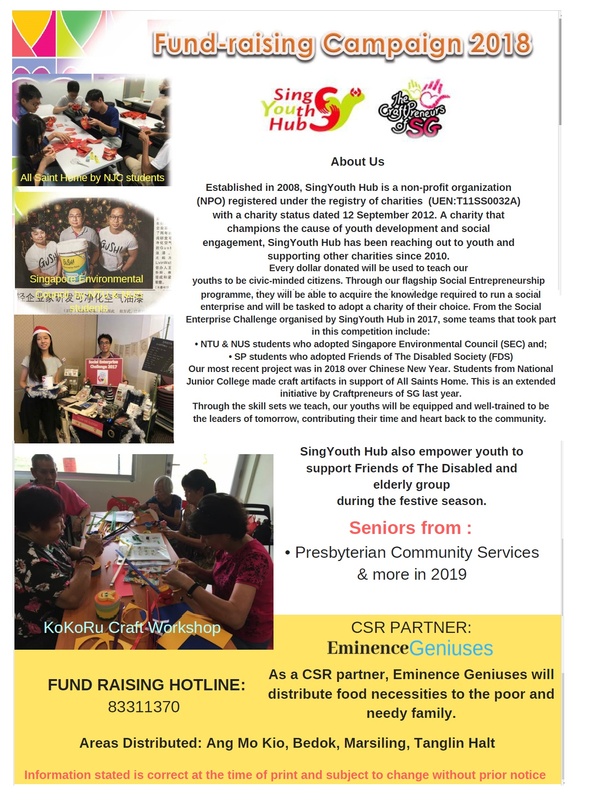 SingYouth Hub will conduct more craft workshops to the elderly next year. In 2019, our Craftpreneurs of SG will conduct KoKoRu craft workshop for the various senior centres to reduce the risk of developing dementia cases. Target to teach at least 100 elderly.